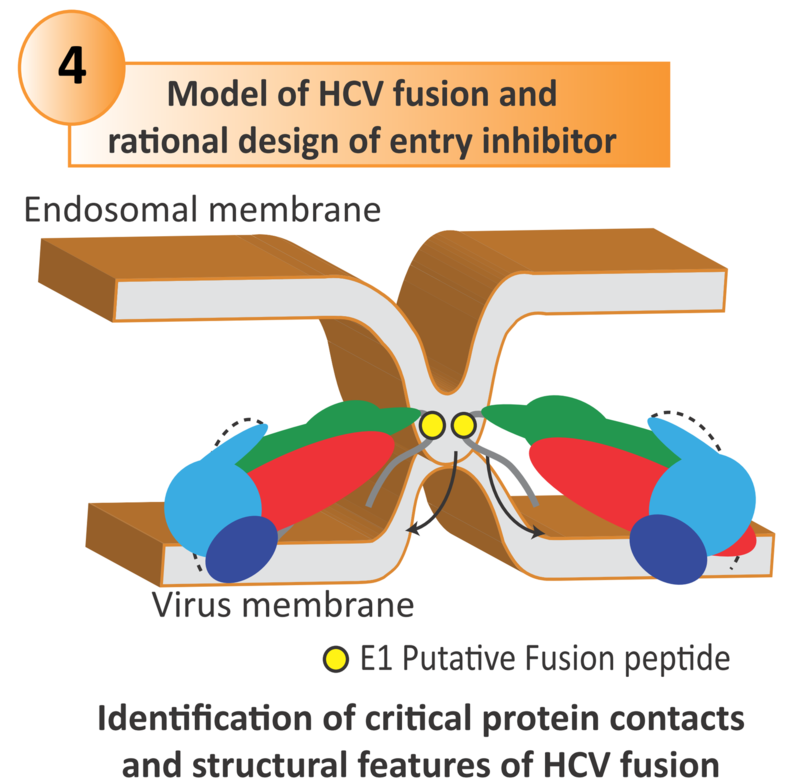 "A protein coevolution method uncovers critical features of the Hepatitis C Virus fusion mechanism" appeared in PLoS Pathogens, from A.Carbone team. This work sheds light on important structural features of the HCV fusion mechanism and contributes to advance our functional understanding of this process. This study also provides an important proof of concept that coevolution can be employed to explore viral protein mediated-processes, and can guide the development of innovative translational strategies against challenging human-tropic viruses. 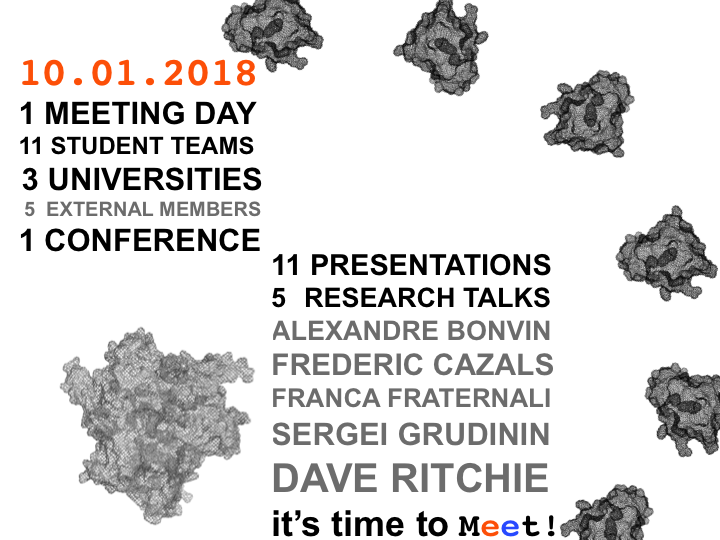 Elodie Laine of the Analytical Genomics team co-organized the Meet-U colloquium on the 10th of January 2018: http://meet-u.org/colloquium_2018.html. Meet-U aims at bridging the gap between teaching and research in computational and quantitative biology. It brings together Sorbonne Université, Univ. Paris-Sud and Univ. Paris-Diderot. Marco Cosentino Lagomarsino of the GenomicPhysics team organizes the conference Quantitative Methods in Gene Regulation IV ( here you may find the poster image). Alessandra Carbone and Elodie Laine are organizing the "UPMC Young Researchers' Meeting: Modeling Complex Biological Systems". The talks on current work in computational biology at UPMC will be given by PhD students and Postdocs working at UPMC labs. It will be an opportunity to listen at ongoing research and learn what is done in close by departments. F.Nadalin and A.Carbone published CIPS, a new computational method for scoring protein docking decoys based on a combination of residue-residue contact preferences and interface compositional bias. 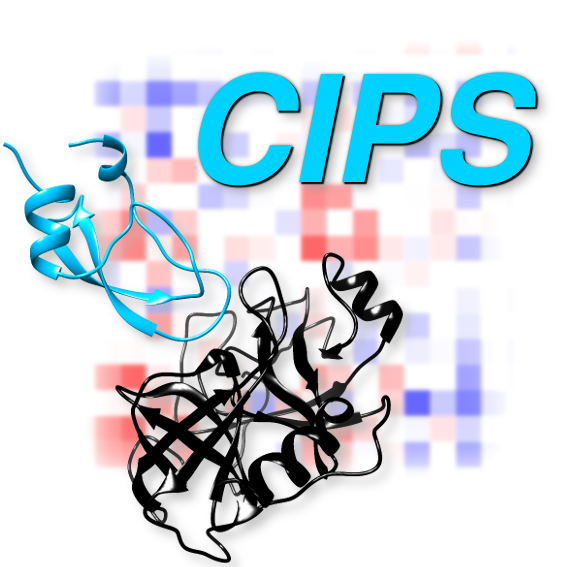 CIPS outperforms state-of-the-art methods on screening protein-protein docking models and improves the ranking on 28 CAPRI targets. The drastic reduction of candidate solutions produced by thousands of proteins docked against each other makes large-scale docking accessible to analysis. 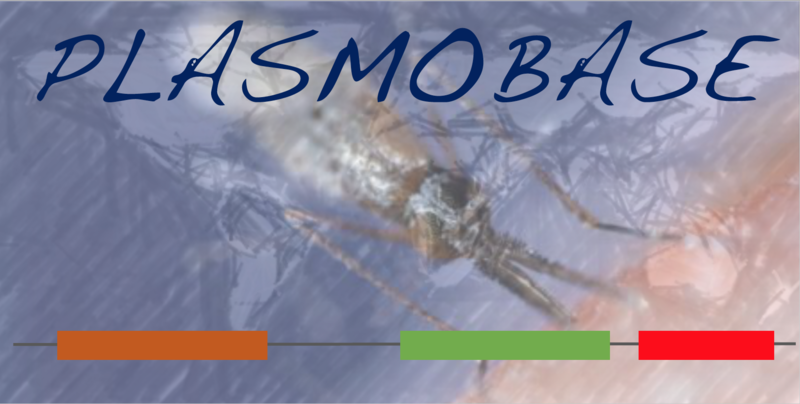 We highlight our new database Plasmobase to the community working in malaria with a new blog appeared in malariaworld.org. Eleonora De Lazzari* published her findings on scaling laws for gene families. 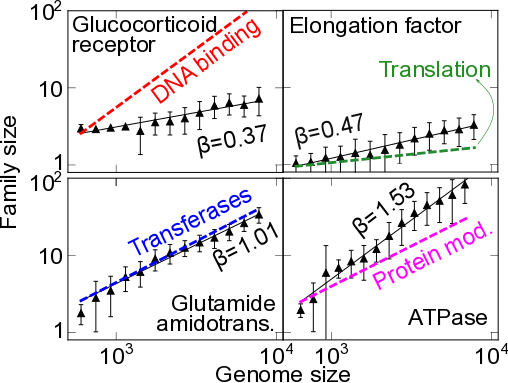 A striking quantitative invariant in evolutionary genomics is the scaling with genome size of the number of proteins sharing a specific function. E.D.L. showed that such scaling laws exist systematically at the level of single evolutionary families. This provides a novel view of the links between evolutionary expansion of protein families and gene functions.This work was performed in collaboration with J Grilli (U. Chicago) and S Maslov (U. Illinois). Angela Falciatore, head of the Diatom Genomics team, shared her thoughts for Beyond the Lab, the magazine of the Gordon and Betty Moore Foundation. Elodie Laine and Alessandra Carbone organize the mini-symposium « Formal methods in the eyes of biological data » the 5th of June in Ronce-les-Bains. The symposium will highlight recent mathematical developments toward elucidating biological questions or modeling complex biological systems. 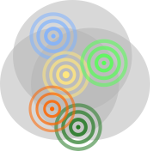 It will illustrate the cross-talk between formal methods and biological data. The symposium is hosted by the SMAI congress (http://smai.emath.fr/smai2017/) and sponsored by the GDR BIM (http://www.gdr-bim.cnrs.fr/).